Defensive Asylum and Withholding of Removal are forms of relief available to those who qualify under protected grounds. This relief may be available to someone who has been persecuted or fears that they will be persecuted if returned to their country of nationality. The protected grounds are race, nationality, religion, and/or membership or opinions related to a social group or political opinion. Asylum and withholding of removal are similar because they both involve past harm or fear of future harm, based onprotected grounds. However, there are important differences. It is harder to prevail on a withholding claim because you have to show it is more likely than not (greater than 50% chance) that you will be persecuted whereas for asylum, you only need to show that it is possible that you will be persecuted. If you prevail on an asylum claim, you may become a Lawful Permanent Resident, and ultimately a United States Citizen, and be able to apply for your family to come to the United States. However, if you win a withholding of removal case, you will not ultimately become a Lawful Permanent Resident or United States Citizen, and you will not be able to apply for your family to come to the United States. Under a withholding claim, you are only permitted to remain in the United States until your country of nationality becomes safe enough for you to return. Be able to demonstrate that you have suffered persecution or have a well-founded fear of persecution based on your race, religion, nationality, membership in a particular social group or political opinion. These are the five protected grounds. – Note: not everyone who faces danger in his or her country qualifies for asylum. You must have been persecuted or fear future persecution based on one of the five protected grounds. For example, a politician who advocated for democracy in her country of nationality that was jailed as a result of her advocacy may qualify on account of a political opinion. Keep in mind that you may be eligible for asylum for less obvious persecution. For example, a woman who is subject to domestic violence in a country that does not have a law prohibiting domestic violence, or has a law but its police are unwilling to enforce the law. Asylum law is complex. It is in your best interest to consult an attorney. Please see note above in Asylum section for examples protected grounds. First, you must prepare the Form I-589. It consists of personal information, questions regarding your activities in other countries, and details regarding the harm that you have suffered in the past or fear that you will suffer in the future. You will also need to prepare a declaration which tells your story. It should include details regarding the harm that you suffered in the past and/or your fear of suffering future harm if returned to your country of nationality. Next, when you appear in front of an Immigration Judge for a Master Calendar Hearing (MCH), you will provide the Form I-589 to the Immigration Judge along with your declaration. The Immigration Judge will then schedule a merits hearingwhere you will testify in open court and have witnesses testify on your behalf. Prior to your merits hearing, you will need to gather witnesses and papers to support your case. Papers may include country conditions reports, human rights reports, and news articles to support your claim. If possible, obtain an expert to testify to the conditions in your country and photographs showing the harm you suffered or the injuries you suffered as a result of the harm. You will need to submit the documents that you have obtained by mailing or filing them at the court clerk’s window in the Immigration Court prior to your merits hearing. If you have met the above mentioned eligibility requirements, you may apply for Asylum or Withholding of Removal. Contact our office to discuss your case with an attorney who is familiar with this form of relief and is able to help with your case. Jeff Goldman has a deep commitment to the concerns and problems of immigrants. 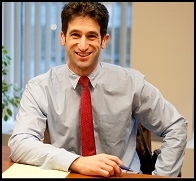 He is fully committed to providing legal help for people needing an immigration lawyer or attorney. Please call our office to discuss your immigration related concerns. Don’t wait. You can have your case considered by a compassionate and caring lawyer with experience that can help you get past your problems and move forward with your life.